Chart Templates allow you to save the design of the current chart and its attached EA and indicators. 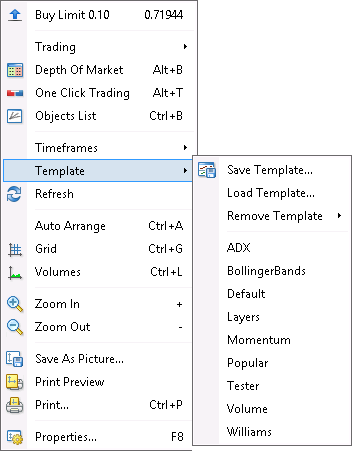 You can save and load templates by right-clicking on the chart > Template. If you name the template “default”, every new chart you open, will have the design saved in the default.tpl. If you name the template “tester”, every chart of a backtest will have the tester template applied to. You can also save all open charts in a profile and restore that profile.